When it comes down to it, an accounting system really just tracks data. The real power comes with how you use that data. Business Intelligence is one of the biggest buzz words in today’s technology-based society, and Microsoft Dynamics GP has no shortage. The Business Analyzer is one of Microsoft Dynamics GP’s most powerful Business Intelligence tools, and is available for both Microsoft Dynamics GP 2012 and Microsoft Dynamics GP 2013. What makes the Business Analyzer so robust is that it’s powered by Microsoft SQL Server Reporting Services (SSRS), a report writer that is built into Microsoft SQL Server, the backend database system that powers, not only Microsoft Dynamics GP, but many other applications, as well. This is important for many reasons, but two major ones stand out. First, while Microsoft Dynamics GP comes with a large number of pre-built SSRS reports, charts, KPIs and metrics, you have the ability to create an unlimited number to suit your specific needs. Second, because SSRS is a native Microsoft SQL Server report writer, you can also create reports, charts, metrics and KPIs on databases and information other than that of Microsoft Dynamics GP. This means you can display data from other systems directly within Microsoft Dynamics GP, providing unparalleled access to the information stored in all of your systems. What does all this techno-babble really boil down to? For starters, because the Business Analyzer is accessible on the User’s Home Page in Microsoft Dynamics GP, in Navigation Lists within Microsoft Dynamics GP and as a standalone application that can be run outside of Microsoft Dynamics GP, it provides users instant and actionable information in a format that makes sense. Users can view dashboards in a number of formats and have the ability to filter reports by a variety of criteria, including Company, Role, Module and Date. In addition, the Business Analyzer allows one to drilldown on information to further delve into the underlying data, even as far as drilling back into Microsoft Dynamics GP windows, such as master and transactional records. 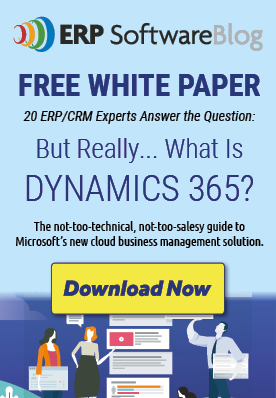 Do you have people in your organization who are not Microsoft Dynamics GP users, but would like or need access to information contained in the system? No problem. Because the Business Analyzer can be installed as a separate, standalone application, personnel outside of Microsoft Dynamics GP can view, drilldown, drillback and analyze data without needing to log into Microsoft Dynamics GP. Suddenly your executives, managers and end-users have timely, insightful access to information previously off limits to them. And of course you can rest easy knowing that the security allows you to control who accesses what information and when. The best news is that the Business Analyzer is software that comes bundled with your Microsoft Dynamics GP 2010/2013 licensing. So, if better access to your data, increased analytical capabilities and the ability to share information across your organization for no additional licensing costs sounds good to you, feel free to contact at [email protected] ; we’d be happy to help.